Besides pigeon pose, Grant also practices planking and downward facing dog (and upward facing dog for that matter). 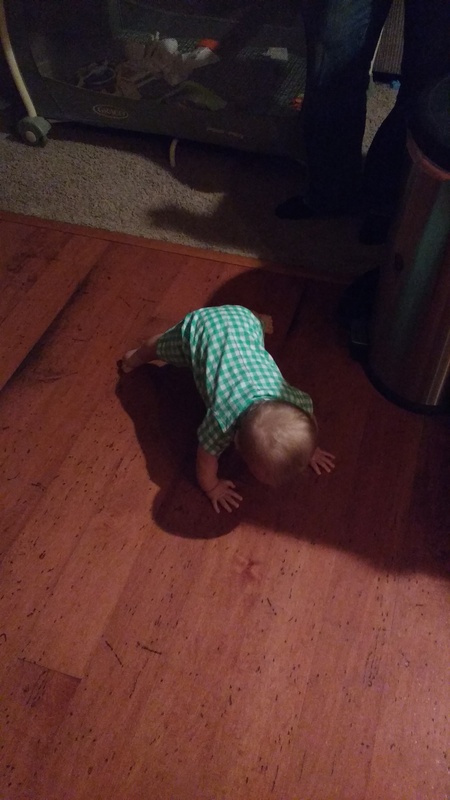 Here is one of his planks that he transitioned into down dog. Now, his form isn’t perfect, but he is a baby, so go easy.